Manufacturing, Services and Trading of Dewatering Equipment. 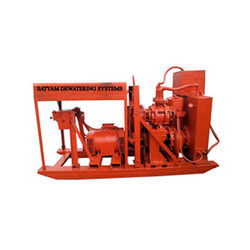 Established in the year 2007, we Satyam Dewatering Systems, are one of the glorious celebrated manufacturers and suppliers of Dewatering Equipment. Our product series comprises of Dewatering Pumps and Well Point Systems, which are made available in multiple specifications, so as to meet the varied requirements of our valuable purchasers. It is for the effectiveness in soil stabilization, excellent performance, noise-free operation, longer functional life, portability and low maintenance that our products are massively demanded in the market. Our company engages in presenting Project Construction Services as well. All our products are handed over in tamper proof packaging, at market leading costs. We have established an excellent infrastructure that encompasses basic amenities and machines based on latest & advance technology. All our pumps and systems are manufactured in accordance with the predefined industry guidelines, with the help of the efficient & powerful machinery. Furthermore, we have recruited a team of skilled and experienced professionals, who work in complete co-ordination with each other and try extremely hard to conquer the organizational objectives, with enhanced efficiency. Experience: The company has at its helm experts from the industry like Mr. Mathur S.C. Managing partner who has 35 years of experience. Established Reputation: With more than 300 successfully completed projects in our hands we are the most recognized Dewatering contractors of India. 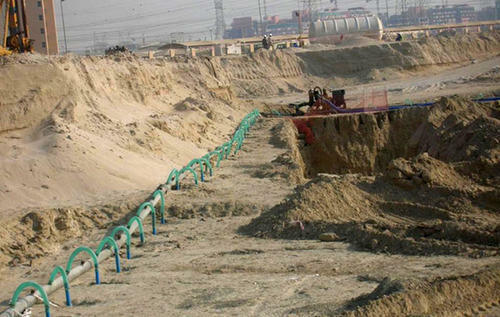 Our Network: We cover almost whole of India and we had carried out Dewatering works in all avenues of construction industry. We use the Wellpoint System which is an advanced system that is far superior to the old steel system. It is highly efficient and has a successful track record as the most satisfactory method of eliminating problem sub-surface water from construction sites besides lowering the on-site water table to a grade below the level of proposed excavation. Our team of qualified engineers and site personnel who have been trained to handle de-watering projects and have many years of experience. This is a service industry and Satyam has a strong customer support team to assist customers with planning, engineering, execution, handling problems or unexpected conditions. They can rely on them for any support at any time. The equipment is available for sale and also on a rental basis. We also undertake contracts on a turnkey basis for large jobs. R&D is a vital part of the company and we constantly innovate to stay ahead. The Wellpoint System commences installation and operation to drain the site before excavation work starts. The advantage with this system is that heavy excavation equipment can be used immediately and the water table controlled easily through all phases of excavation. The Wellpoint System offers a wide range of pumps to cater to different applications in standard sizes of 4" (110 mm) through 10" (250 mm) suction. Custom-built pumps are available on order. They are designed for discharges ranging from 30 to 200 Lt/sec. All of them come with either a diesel engine or electrical motor drive with skid mounting or wheeled trailer chassis as needed. Standard units come with a high capacity vacuum system which can be used with either oil lubricated oil cooled or water lubricated water cooled. The vacuum pumps can pump 1.5 to 2.0 mm of free air. The Wellpoint System offers many cost advantages like longer life which translates into lesser depreciation, lower friction factor which means less power consumption and easier maintenance. It's simple to connect, is lighter and offers greater mobility ensuring less installation, transportation, handling and removal costs. The other fringe benefits are that the faster installation and removal means shorter project cycles and simpler equipment does away with the need for skilled labour. The design advantages are the complete sealing both during vacuum as well as under pressure, tremendous flexibility and perfect jetting action to ensure non-clogged screen. Satyam has on the anvil many challenging projects and looks forward to spreading its wings in newer horizons. 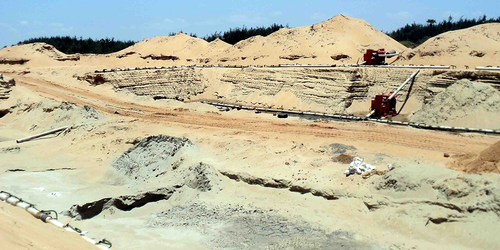 Satyam Dewatering Systems is one of the leading Construction Dewatering companies in India. It is a pioneer in the arena of Well Point and Open De-watering Systems. The company has at its helm experts from the industry like Mathur S.C. Managing partner who has 30 years of experience. De-watering Systems are essential in modern construction sites where deep foundations have to be laid and the water table is high. These systems ensure that the construction begins on a solid foundation. We also offer groundwater dewatering and dewatering system installation services to our customers. The systems manufactured and installed by us are available in standard as well customized options to suit the varying demands of our clients. Our turnkey approach offers General Contractors the widest range of possible solutions and options. 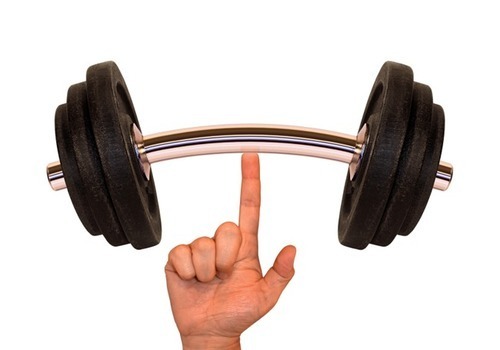 We partner with our clients to achieve project success in the most cost-effective manner. This is achieved by reviewing specific site hydrogeology and profiling the correct groundwater control applications by reviewing construction plans and specifications. Our team comprises of qualified designers, engineers, technicians, quality controllers, administrative staff members, warehouse and packaging experts, service engineers and sales & marketing professionals. Educational qualification, years of experience in the industry and technical knowledge are the major points based on which we recruit our team. Our team members work as per the quality standards and in complete co-ordination with each other. Several trainings, workshops and seminars are regularly conducted for our staff. From the very beginning, we have been determined to offer supreme quality range in the market. Due to our excellent product range and possible services, we have earned an unmatched reputation in the industry, today, we are a strong example for our peers and own immense trust and dependence of our prestigious customers. Satyam Dewatering Systems engages in ethical business dealings only. We are known to be amongst the leading providers of Wellpoint Dewatering Systems Services. For the purpose of making the finest available, we engage in the utilization of quality resources. For reasons of maintaining its quality, we offer this service in accordance with the set industry norms and guidelines. Further, it is marked at the best rate possible. Priced at the most reasonable rate possible, the offered Ground Water Surface Dewatering Services is known to be amongst the finest that are available in the market. The offered service is made available as per the set industry norms and guidelines, in accordance with the set industry norms and guidelines. 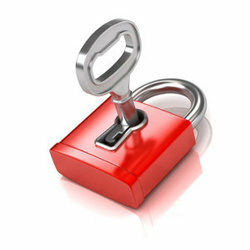 Owing to this, the offered service has its quality highly standardized.